It is the responsibility of our Board of Advisors and Staff Members to develop and ensure that the U.S. Navy Flight Deck Veteran’s Group mission and vision statements are carried out in an effective and ethical manner. To that end, our advisors and staff are accountable for oversight and implementation of policies and monitoring of the organizations performance in establishment of strategic direction, financial stewardship, quality outcomes and leadership and dedication to the U.S. Navy Flight Deck Veterans Group and it’s members. 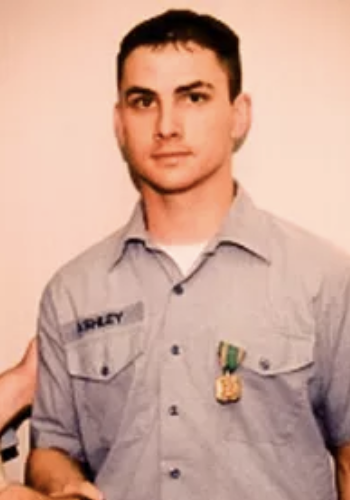 Jared Ashley was born in Hobbs, NM but was raised in Newnan, GA joined the U.S. Navy January 7, 1997. Stationed in Yokosuka Japan assigned to V-1 Division on board the USS Independence from 97-98. Jared was honored to be one of the last crew members to walk across the brow after decommissioning the carrier in Bremerton Washington in the fall of 1998. 1999 Jared joined V-1 Division on the USS Kitty Hawk which replaced the Independence as the new forward deployed aircraft carrier stationed at Yokosuka Naval Base, Yokosuka Japan. 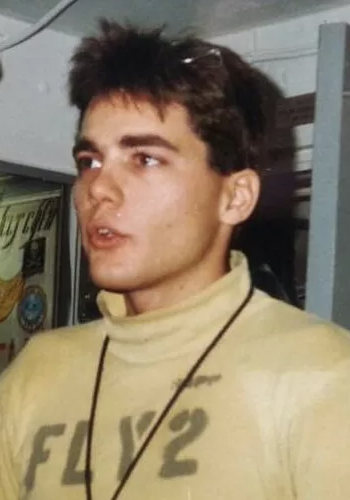 While serving on board the USS Independence and USS Kitty Hawk Jared did two tours in the Persian Gulf in support of Operation Southern Watch and Desert Fox. Jared got out of the Navy on Jan 7, 2001. and moved to Nashville, TN to work in the music industry as a singer/songwriter. Jared has a wife and young daughter and spends his spare time dedicating himself to the Flight Deck Veterans Group. Mark Parcell was born in Waynesville, Missouri in late June, 1958, where his parents were stationed at Ft. Leonard Wood, and subsequently grew up in France, California and Oregon. 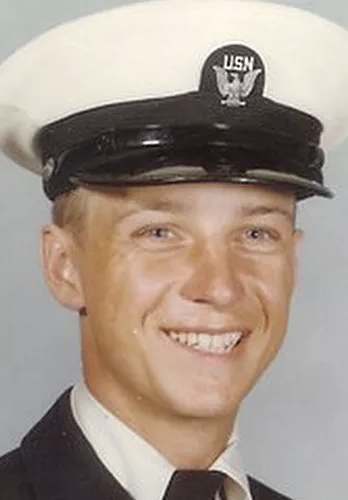 He graduated from Silverton Union High School in June, 1976, and entered active duty in the United States Navy on 23 September. After Boot in NTC/RTC San Diego, he transferred to NATTC Millington where he completed “A” School for Anti-Submarine Warfare Operators. On completion, he was given the choice of P-3’s in Brunswick, Maine or ASW Helicopters anywhere he wanted to go. He chose….wisely! While assigned to HSL-31 at NAS North Island he completed SAR, SERE and the aircrew syllabus. He spent the next five years in HSL-33 and was winged a Naval Aircrewman in the spring of 1979. After two LAMPS deployments he met his wife on her arrival in the States from Spain. They married and have two children, now aged 27 and 28. 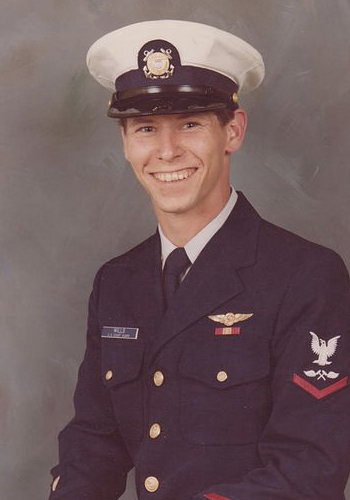 Mark was promoted to First Class Petty Officer just after his 24th birthday and three days later was appointed to the Enlisted Commissioning Program where he completed his Bachelors degree at Oregon State University (BEAVERS not ducks) in 1985. On commissioning, he completed Flight School and was subsequently winged a Naval Aviator in Nov, 1986. He went on to serve in HSL-41 and HSL-47 at NASNI, where he deployed for a Persian Excursion in the Summer of 1989. Upon return he was transferred to VX-1 in NAS Patuxent River, MD, where he served as an Operational Test Pilot and Head of the Rotary Wing Test section until May, 1993. After completing Language School at the Presidio of Monterey, CA, he joined the Personnel Exchange Program and flew SH-60B SeaHawks for the Spanish Navy in Decima Escuadrilla, Rota, Spain, while completing two additional Spanish deployments to the Med and Adriatic Seas aboard Fragatas Victoria and Navarra. On return to the States, he served as the Training Department Head for all east coast LAMPS Mk-III pilots and aircrew at HSL-40 in Mayport, Fl. On retirement in July, 1997, he was most proud to have his brother, Chris, join him for the ceremony and flew his last flight in the United States Navy with his brother as his crewman. Mark then joined Sikorsky Aircraft Corporation where he was a Test Pilot and International Instructor Pilot for six years. On departure from this pattern in 2003, he left the frozen tundra of the northeast in the rearview mirror for Austin,Texas, where he has served as a Travis County STARFlight Rescue Pilot for three years and Chief Pilot for the last 11 years. His major interests are history, photography, guitars and WWII aviation. his release from active duty in June 1979. 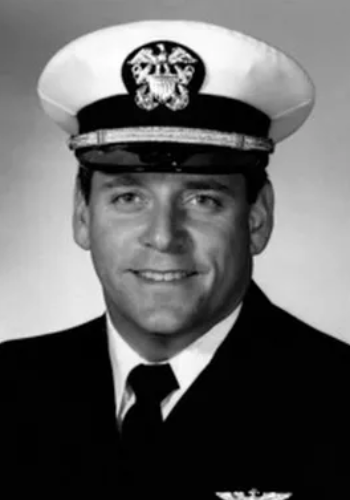 During his tour with VF-14, Bill embarked with Carrier Air Wing One (CVW-1) aboard USS John F. Kennedy (CV-67) for a North Atlantic NATO Cruise in the Fall of 1976 and two Mediterranean Cruises in 1977 and 1978-79, where he served as a member of the CVW-1 Integrated Arming Team. Bill also embarked with his Squadron aboard the USS Dwight D. Eisenhower (CVN-69) in late 1977 for Ike’s Shakedown Cruise in the South Atlantic. After receiving an Honorable Discharge in 1979, Bill used his G.I. Bill benefits to earn a BA in Political Science, a MS in City Planning, and a Master of Public Administration degree. Bill and his wife Lee Ann have been married for 32 years, have three grown children and six grandsons, and currently live in Charlotte, NC. Josh Cinelli was born in Burlington, VT and raised near Albany, NY. 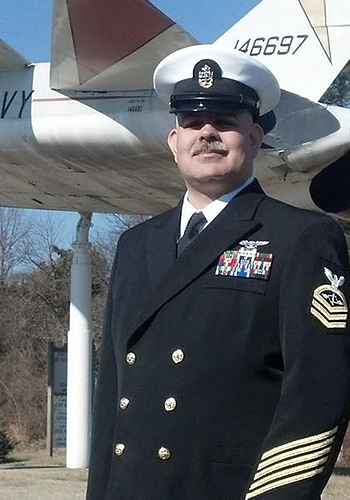 He joined the Navy is 1993, as an undesignated AN, and was assigned to the Fighting Diamondbacks of VF-102 at NAS Oceana. He qualified as an F-14A and F-14B Plane Captain before striking for the rate of AZ. As an AZ3 and AZ2 he was assigned to Maintenance Control and CTPL. VF-102 deployed on USS AMERICA during her last 2 deployments. For his next tour he was assigned to the CINCUSNAVEUR Staff in London, England and worked for the Logistics department which included Maintenance, Supply, Ordnance, Fuels, Travel, Transportation, Postal and many other support related items for the fleet. While there he went TAD as a plank owner of JTF Noble Anvil in Naples, IT which planned, managed, and supported the allied mission in Kosovo in 1999. Following this he transferred to the Fighting Tigers of VP-8 in Brunswick, ME which flew the Mighty P-3C Orion. Assigned to Maintenance control he deployed to Keflavik, Iceland in 2001 and was selected for advancement to AZ1 in 2002. As Command Services Department LPO he deployed to Sigonella, Sicily in 2003. Then he transferred to the West Coast, assigned to the Black Knights of VFA-154 in Lemoore. While there he served as Data Analyst and the squadron converted to F/A-18F Super Hornets and completed a World Cruise on USS Carl Vinson in 2005. His next duty station was COMHSCWINGPAC in North Island where he served as Training/Inspection team member for 12 West Coast H-60 Units. Staying in San Diego, he transferred to HS-4, the Legendary Black Knights as AZ LPO supporting SH-60F and HH-60H aircraft. They deployed in 2011 on USS Ronald Reagan supporting Operation Tomodachi Tsunami relief efforts in Japan while he served as QA LPO. In 2012 the squadron converted to HSC-4, flying the MH-60S, and he was selected for advancement to CPO. Following this tour he transferred to the test community with the VX-23 Salty Dogs, in Patuxent River, MD, where he served as MCO, Contract Oversight and Detachment LCPO supporting F/A-18B-F, EA-18G, T-45, X-47, and EA-6B aircraft. In 2015, Chief Cinelli cut short his shore duty, and returned to Lemoore with the Golden Dragons of VFA-192 who operate the F/A-18E Super Hornet as a part of CVW-2 assigned to USS CARL VINSON. Nine days after high school graduation in 1985, Darren Sapp left Euless, Texas for Great Lakes Naval Training Center. The Navy assigned him to V-1 Division of the then pre-commissioned Theodore Roosevelt. After a short ten-day cruise working as a blue shirt on the USS John F. Kennedy, Sapp was granted plankowner status on the USS Theodore Roosevelt. He attended the U.S. Marine Aircraft Firefighting School at NAS Millington and then worked in the Crash and Salvage crew on TR. Sapp earned a yellow shirt and worked in Fly 1 and Fly 2 for cruises in the Caribbean, North Atlantic, and Mediterranean. After discharge in 1989, he earned a BS and MA degree thanks to veteran education benefits and also attended Dallas Theological Seminary. He wrote a novel partially based on his flight deck experiences called Fire on the Flight Deck. As the VP of Operations for a home health company he has the opportunity to meet, interview, and document stories of World War II veterans. He continues to write fiction and volunteer for a ministry to orphans and trafficked children in Ghana. Darren is married with five children.